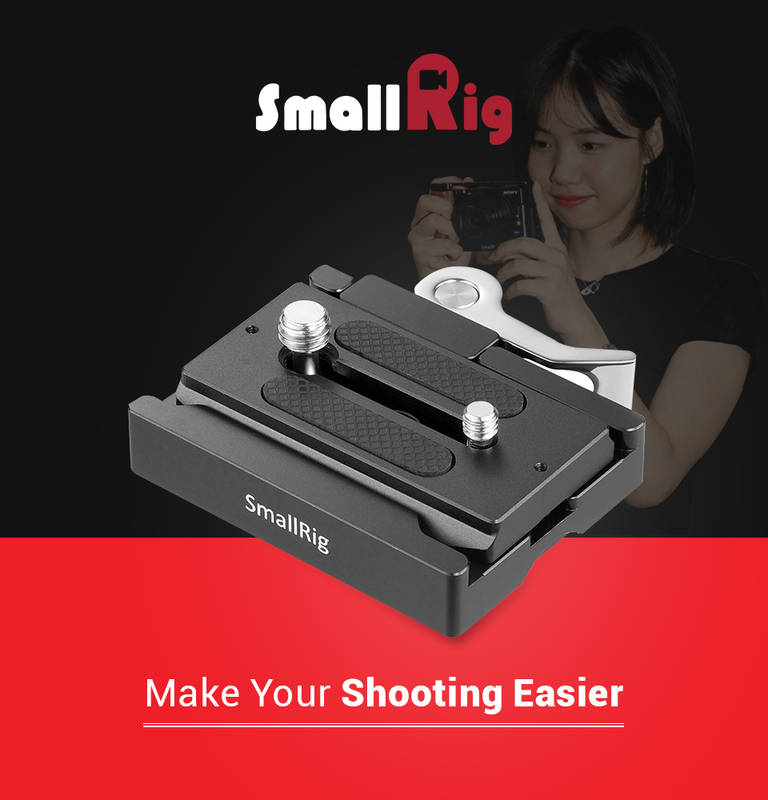 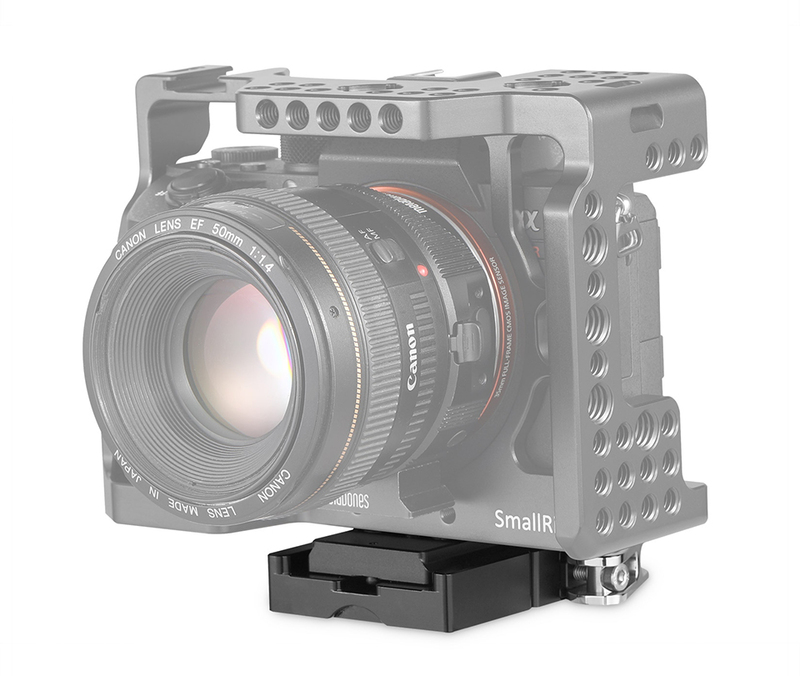 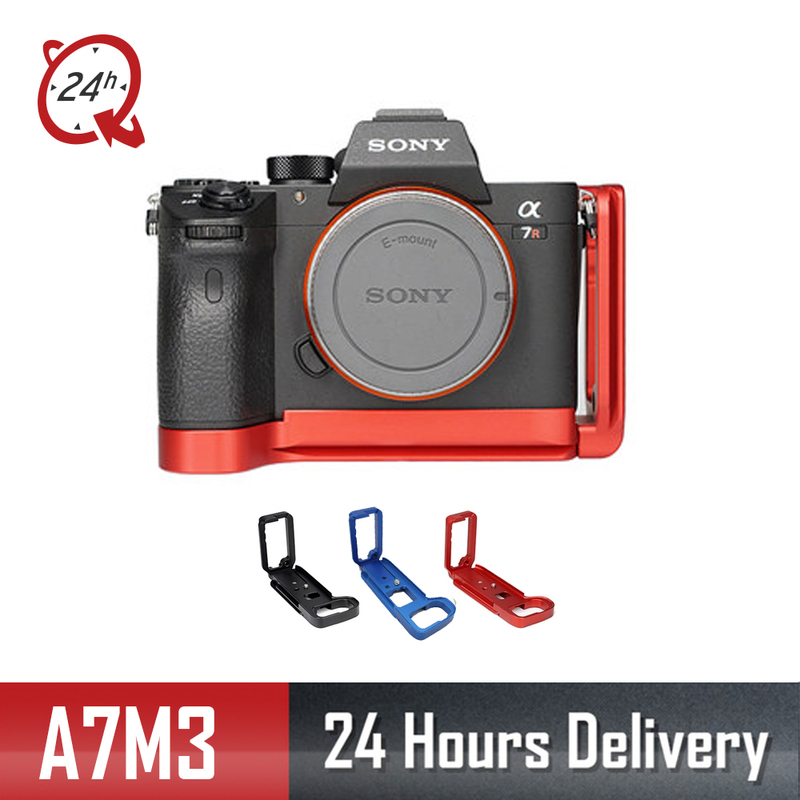 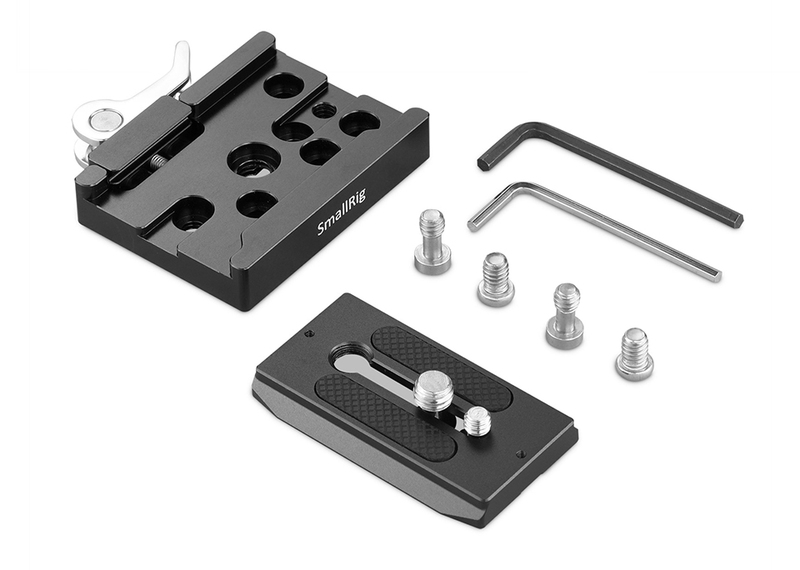 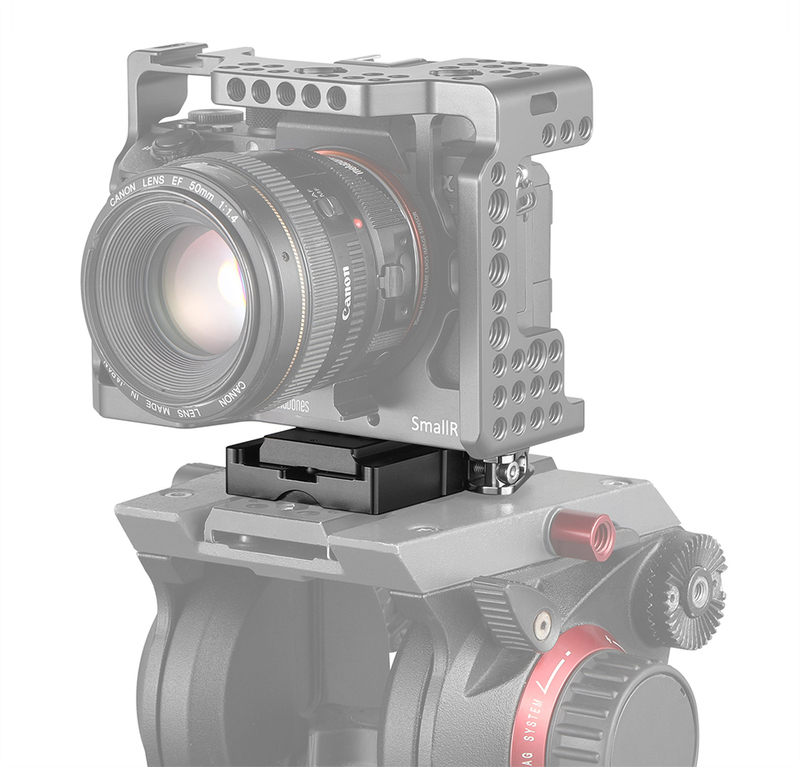 SmallRig Quick Release Clamp and Plate (Arca-type Compatible) 2144 includes an Arca-type clamp and a plate. 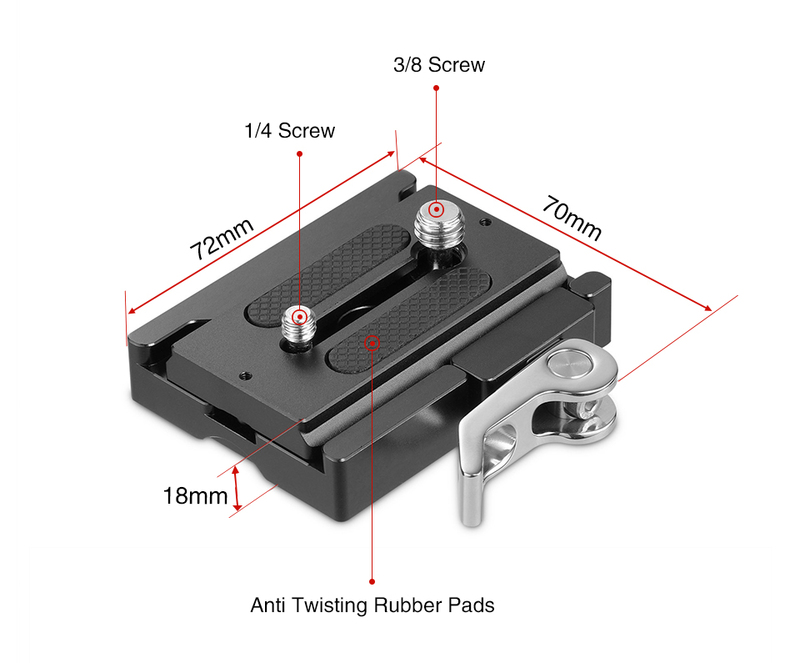 Tightness of the clamp can be adjusted by stirring the tiny screw on the lever, so it is also cross-compatible with most Arca type plates. 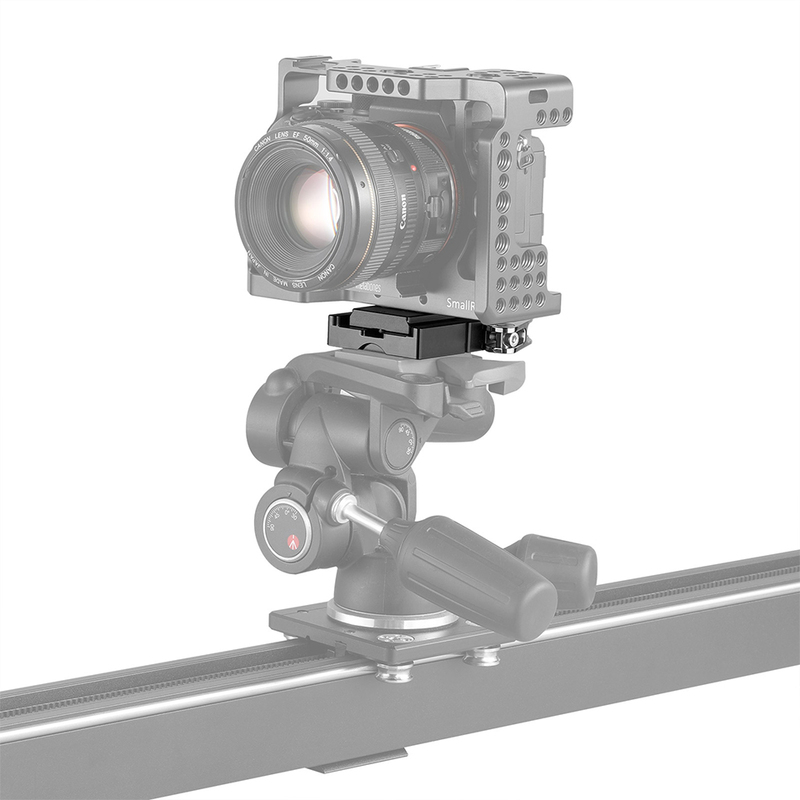 The plate is attached to the bottom of cameras or cages by screw(s). 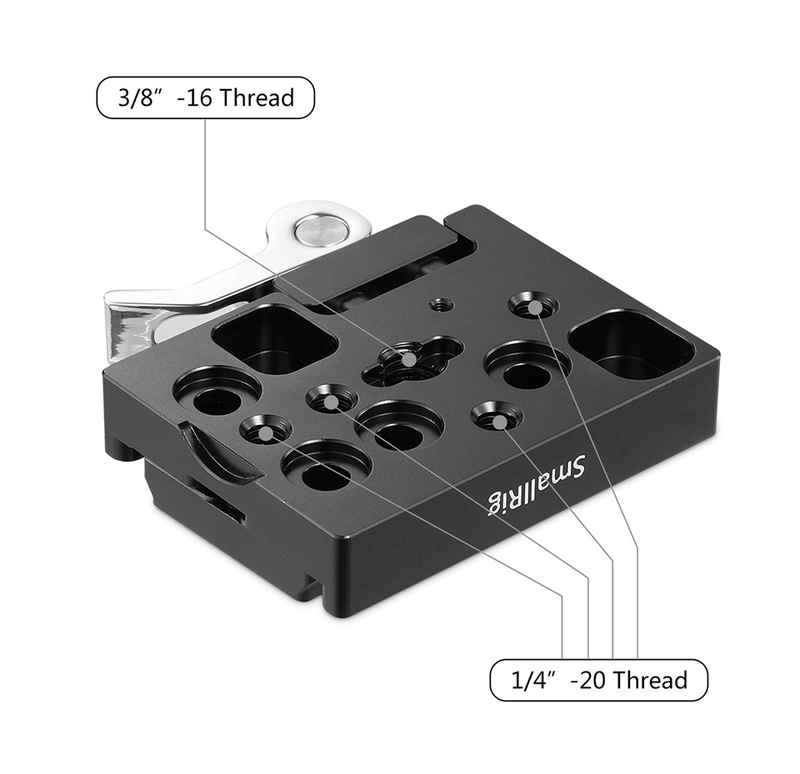 The clamp features multiple 1/4"-20, 3/8"-16 threaded holes and thorough mounting holes on the bottom, so you can mount it on tripods, jibs and other devices.